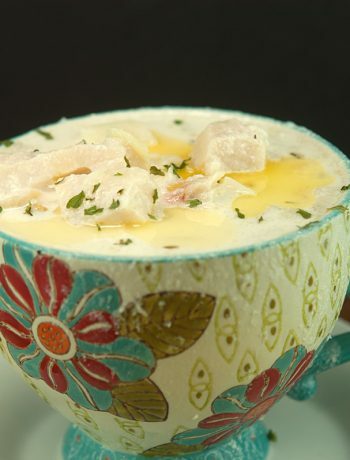 Update: When I was asked to make a chowder for a local chowder contest, I immediately thought of this great chowder. It’s super easy, inexpensive, and super delicious and warming. 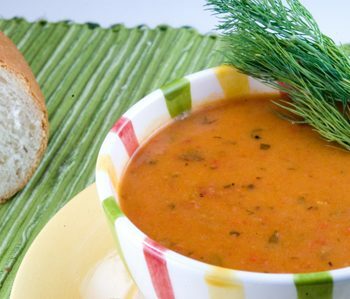 The minute the weather gets colder, I immediately think of soups and chowders. The other day I realized I had not posted one of my favorite chowders. This chowder is not only super easy to make, its super delicious! Anyone can make this! You basically cook the veggies. In a separate pan, make a roux (which is flour and butter whisked together), add some milk and cheddar cheese til all melted together. You add the cheese mixture to the veggies, add some creamed corn, some of the pre-packaged cubed ham, and you have got a hearty, weeknight, or weekend meal! It kind of reminds me of a “beefed-up” cheesy corn chowder. 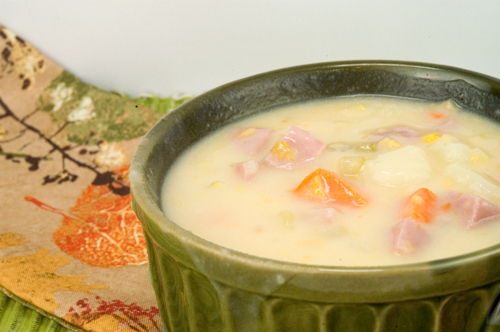 So if you like corn chowder, try this recipe, you won’t believe how good it is! I based it on a Paula Deen recipe from one of her magazines. I can’t tell you how many recipes I have from Paula Deen that are fantastic! I’m going to do a special post on it one of these day’s so stay tuned! 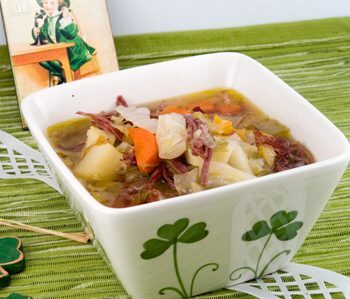 In large stockpot, combine water, potatoes, carrot, celery and onion. Bring to boiling, reduce heat. Simmer, covered for 10 minutes. For cheese sauce, melt butter, stir in flour & pepper. Whisk, and cook slightly a minute or two (this just helps get the flour taste out). Whisk in milk all at once. Cook and stir over medium heat, until thickened and bubbly. Add cheese to sauce. Cook over medium low until cheese is melted. Add cheese sauce to vegetable mixture. Stir in creamed corn and ham, and heat through. Do not boil. 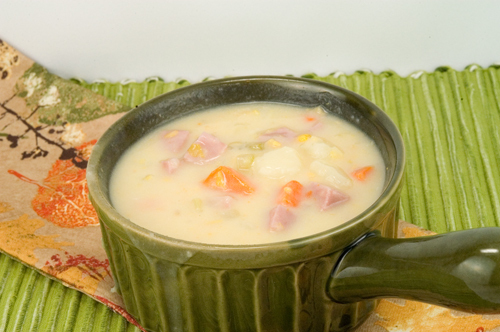 A thick, hearty, cheesy chowder, full of veggies, potatoes and ham. Sort of like a hearty corn chowder. Super easy to make. Flour Bakery Blueberry Muffins What's the Best Fish You've Had at a Restaurant?